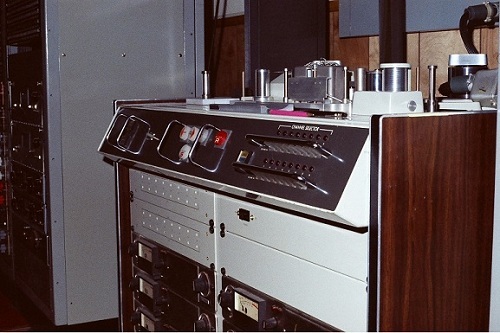 In 1966 Ampex built their first 16-track recorder, the model AG-1000, at the request of Mirasound Studios in New York City. In 1967 Ampex introduced a 16-track version of the MM 1000 which was the world's first 16-track professional tape recorder put into mass-production. Both used a 2 inch tape transport design adapted from the video recording division. The 16-track MM-1000 quickly became legendary for its tremendous flexibility, reliability and outstanding sound quality. 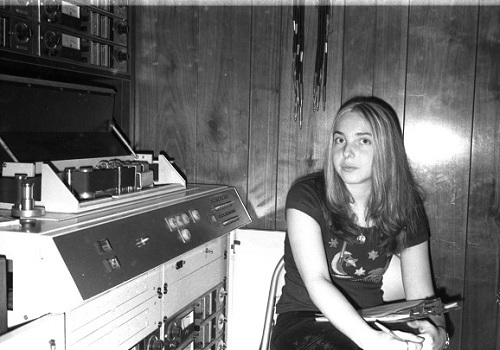 This brought about the "golden age" of large format analog multitrack recorders which would last into the mid 1990s. The MM-1000, Master Maker, Series of recorders is designed to provide	all master recording studios, television studios and motion picture production studios with a complete multichannel recording and reproducing facility. The	MM-1000	is available in 8, 16 or 24 channel configurations all, with solid state electronics for	maximum	quieting. Television audio, at its most spectacular, may now be	recorded synchronously with video recorders, eliminating the shaky dependence upon a single audio track. Artists or musicians who were not present at any other recording session can be added and mixed at any	convenient time or complete plays can be assembled, one	actor at a time	as, all tracks have the same base-time reference through the "Sel-Sync" system. Actual performance time	can be greatly shortened at any given session	as mixing, balance and blending	can be accomplished subsequently by the director and engineer. All channels	have Sel-Sync (Selective	Synchronization) to utilize record heads as playback devices thus enabling the artist to listen to any other prerecorded track while recording other	tracks,	all having an exact time relationship. No switching transients are present when switching Sel-Sync in or out. The tape transport was designed	specifically for the heavy duty of transporting	wide tape and will handle one inch or two inch tape smoothly, well within the confines	of its specifications. A rigid die cast base is used to mount all components of the tape transport to assure machine-precision movement of the tape. Mechanical features allow changing from	one tape width to the other in a matter of a few minutes. 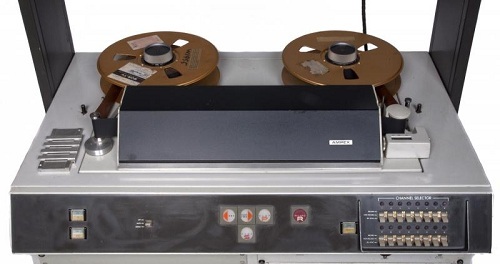 - Ampex MM-1000 16-Track Tape Machine with modified angle of Transport. Photo courtesy of Endless Analog. - Ampex MM-1000 arriving at Mira Sound Studios, NY. Photo courtesy of George Schowerer. 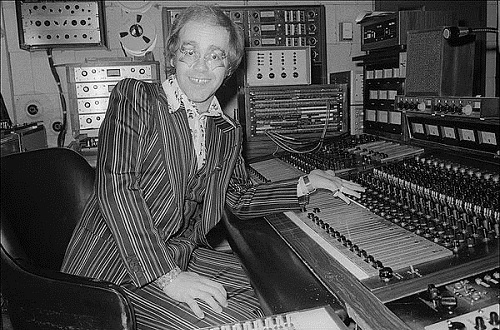 Elton John, in the Studio, with an AMPEX MM-1000. 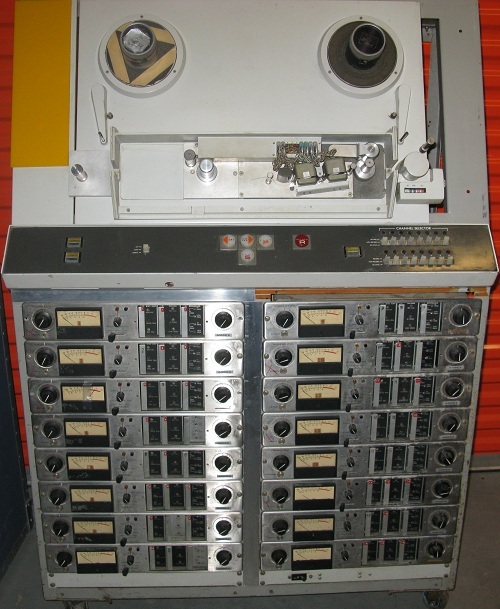 Do you have content, to add, about the Ampex MM-1000 Tape Machine or associated topics? Please feel free to Share it, here! Here are some additional overview pics of "Matilda" my MM-1000-8 taken from early 2010.